When you find out you are going to be a parent, there is a ton of preparation that has to take place. The closer the day gets to arriving, you likely are starting to really get anxiety. After all, how do you know if you are going to have a single idea how to be a good parent? The truth is, you don’t. But if you take a little bit of advice from those who have been there and done that, you are likely to be just fine. With that said, let’s talk about some of the best advice we have ever heard from parents and help you to feel a bit more at ease as you start your journey as a mom or dad. There are going to be times when you have absolutely no idea how to handle a situation with your newborn. This is often because you will hear so much advice and a multitude of varying opinions from others. While this advice is often very helpful, it can also be extremely overwhelming and make you feel as though you are doing something wrong should you not agree with everything that is being told to you. At the end of the day, you are the child’s parent and therefore, you get to call the shots. Follow your intuition and you’ll be just fine. There are going to be days when you feel extremely overwhelmed by all that comes at you when you are a parent. The important thing to remember is to take care of yourself when you need to. 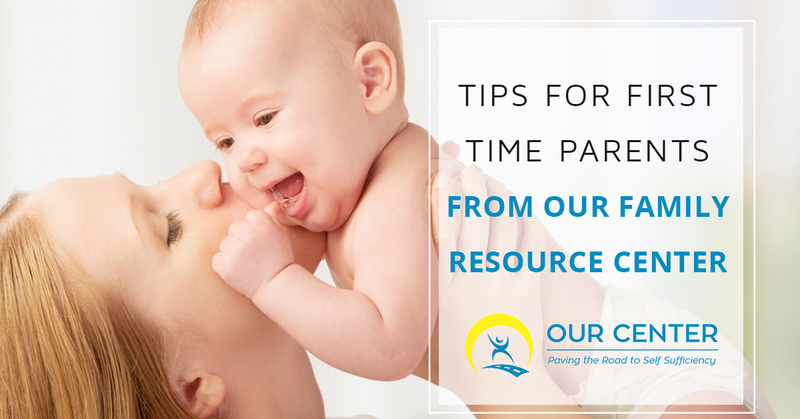 Whether this means asking a family member to watch your little one while you soak in the tub, or simply grabbing lunch with your best friend, taking “you time” is imperative to being a good parent. While we completely encourage you to follow your gut, we also think that at least listening to what others have to say about their parenting experience can be extremely helpful. Even if it teaches you what you shouldn’t be doing as a parent, you can gain valuable knowledge. Some new parents are tempted to walk around on eggshells after their child is born as not to upset the infant. This is extremely common when the baby is sleeping. Rather than walking around on your tip toes and slowly and quietly closing cabinets and doors, go about your business as you normally would. Your child needs to learn how to sleep through normal noises. This will aid you greatly later on when he or she ends up being deep sleeper. Some parents feel the need to do everything themselves. However, there are plenty of people in your life who love you and the newest addition to your family. So long as you trust them with the person you hold closest to your heart, take the help when it is offered to you. It’s okay to take a break from time to time. If you are a new parent or about to become one, we would suggest that you utilize the resources being offered by our Family Forward program at OUR Center. We want to help parents to not only feel comfortable in their new role, but also to continue to feel competent and confident in their everyday tasks and responsibilities.Check out everything we have to offer, from child care to budget counseling and more when you stop into our facility today.